We’re all expecting big changes in healthcare this year, right? Probably a lot of technological advances, more health-related apps, more attention to self-care and upkeep, etc. Well, Forbes released their predictions for 2019, and they are very specific! 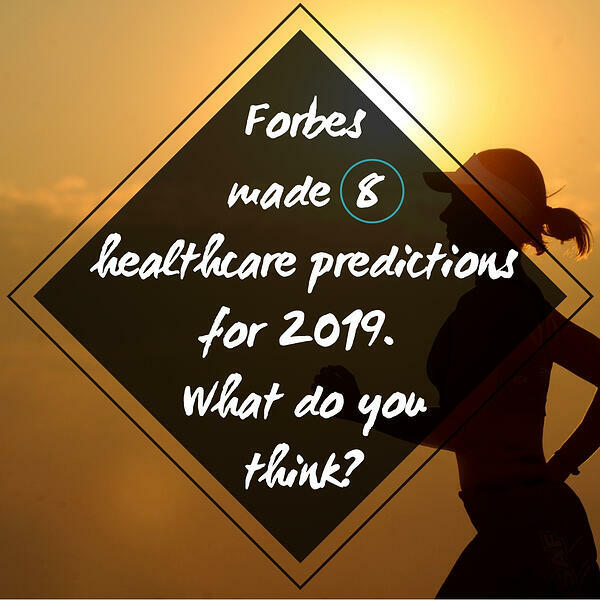 For example, Artificial Intelligence (AI) for healthcare IT Application will cross $1.7 billion by 2019, and Innovative Private Insurance Models Shake up Healthcare Payer Industry are two of their predictions. Click on the button below to read about the rest of their predictions!